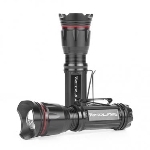 The Lightwave series of LED flashlights are designed to take a beating. They are made for people that use them 8 hours a day to do their job. They have industrial switches that take thousands of on-off cycles without a blink. There are no lenses to scratch or break. Each product will withstand a 4-foot drop onto bare concrete without damage. The LEDs are fully protected by our "bumper head" construction. The housing is made of high-impact ABS plastic that won't break, bend or dent under normal use. 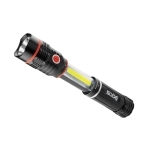 All our flashlights are water resistant and can be used in pouring rain. And being an LED flashlight the battery life is considerably longer than any normal incandescent bulb flashlight.